A.C.T. presents this buzzer-beating basketball drama that weaves together stories of identity, global politics, and a collision of cultures. When a college basketball team from San Francisco is invited to China for an exhibition game in 1989, a smack-talking American coach prepares to take on his protégé [played by Tony Award winner BD Wong]—now grown and bent on crushing the Westerners. But after a public high school star from Chinatown joins the American team, his actions in Beijing become the accidental focus of attention, escalating the fractured history between the coaches. Funny, urgent, and contemporary, this slam dunk of a sports drama from award-winning Bay Area playwright Lauren Yee explores identity, global politics, and the collision of cultures and generations. Soaring through time and leaping across continents from the hardball courts of San Francisco’s Chinatown to a Beijing on the brink of revolution, "The Great Leap" builds tension right up to the buzzer. [This] imaginative vault over the decades . . . asserts a quiet, beautifully unexpected power. A.C.T. and TodayTix are thrilled to bring you $25 Orchestra Rush tickets to "The Great Leap." Company may offer programs whereby the Company would make available certain features of the Services when you share information about the Services through an SNS or click on the “Unlock without sharing” button in the Application. 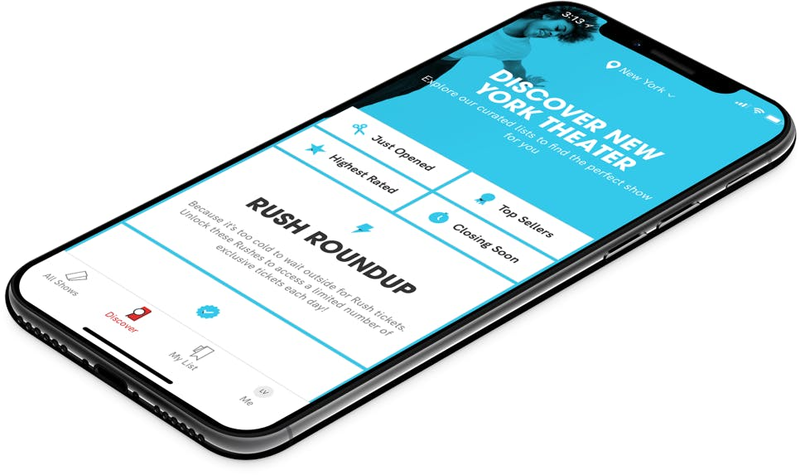 When you are considering purchasing a ticket for a specific show or after you purchase a ticket, if you select the “Share” button in the Application, Company will make available to you a personalized link to a Digital Property with text stating, for example, “Check out The Great Leap on TodayTix! I’m thinking of going…” or something similar, which you may choose to share with your friends via SNS. Once you have shared the personalized link through an SNS using the Application or selected the “Unlock without sharing” button in the Application, Company will make available to you the RUSH feature, which will provide you with otherwise unavailable offers for tickets to live events occurring in the next week. The opportunity to take advantage of these offers is only available to users who share a personalized link to an SNS through the Application or select the “Unlock without sharing” button in the Application.